Great Place submitted by Kathryn M. - Aug 09, 2017 |Recommended: YesI absolutely love living here. The place is nice and the neighbors aren't terrible. I love how it is in a very safe area of town. response from property - Aug 12, 2017 Thank you for the review Kathryn. We love hearing from our residents!! Good apartmentssubmitted by Shawn C. - Jul 25, 2017 |Recommended: YesI haven't lived in palm village very long but here is my review of about the last two weeks. The apartment is very nice and spacious, I'd say for the price there could be better flooring throughout though. Really the only complaint I would have is that there are a lot of dogs in the surrounding apartments and sometimes it can be nonstop barking for awhile. Other than that they are nice and all the neighbors seem nice. Kyle, the manager was very helpful and nice as well. The pool area is great and the fitness center is really nice. I can almost always find a parking spot, I just wish there was some shade to park in around the complex. The complimentary wifi works pretty good, way better than my last place. response from property - Aug 12, 2017 Thank you for the review Shawn. We love hearing from our residents!! Its a pretty nice area so farsubmitted by Paul L. - May 27, 2017 |Recommended: YesIts not bad, the neighbors are not noisy and it feels safe. The parking is pretty limited but it is expected since most apartments have three or four people with their own cars. response from property - May 31, 2017 Hi, Paul! Thanks so much for your review of Palm Village!  Palm Village Luxury Apartmentssubmitted by Dakota B. - Dec 07, 2016 |Recommended: YesI would say it is a very clean, safe, and nice environment. The quality of the apartments are nice as well as the staff. The pool is a great addition once summer time hits. There is also a shuttle bus the goes through the apartments for whoever may need the service. It is a pretty quiet complex which is what most people are looking for. Overall, I have been living here at Palm Village for a little over a year and I haven't even thought about moving. Living in a paradise submitted by Edran A. - Nov 18, 2016 |Recommended: YesPalm Village is a great place to live. Wonderful Place.submitted by Savana C. - Jun 09, 2016 |Recommended: YesIt's a really nice place to live. Quiet community for the most part. Definitely worth the money. During the school year, the parking can get kinda crowded but other than that the parking is great. Maintenance fixes things usually within 24 hours of submitting a request or when the next business day is. Property Managers get changed quite often but all have been professional and kind. My only complaint would be the quality of internet service. We pay the extra 20 for a better internet and it's a very minuscule improvement. This is a splendid place to livesubmitted by Samantha M. - Jun 02, 2016 |Recommended: YesIt is a great place to live for your first apartment experience. Very respectable place.